Kaziranga National park is a World Heritage Site of wildlife and bird sanctuary in the Golaghat and Nagaon districts of Assam. Famous for its one-horned rhino, Kaziranga also has elephants, tigers, birds, deer and several endangered species. The rich biodiversity of this National Park that is dissected by the mighty Brahmaputra River has become a popular ecotourism hotspot. The driving distance from Guwahati to Kaziranga is around 193 km. 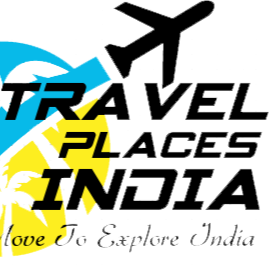 Guwahati International Airport is located in Borjhar, while Jorhat Airport is 97 Km away and nearest to Kaziranga Park. Get on a comfortable road trip by hiring Guwahati toKaziranga cabs from the airport and reach Kaziranga within 4 hours. The shortest route connecting the two locations is via NH27 and depending on traffic takes about 4 to 5 hours. Nelli, Dharamtul, Nagaon bypass, Puranigodam, Samaguri, Kaliabor Tiniali junction, Bagori are some of the major stops en-route. Savaari’s Taxi Service inGuwahati takes tourists in a hassle-free manner in and around the top attractions of the Kaziranga National Park, so that they can make the most of their vacation. The best time to visit this park is between November to April, and it is open round the clock for travellers. 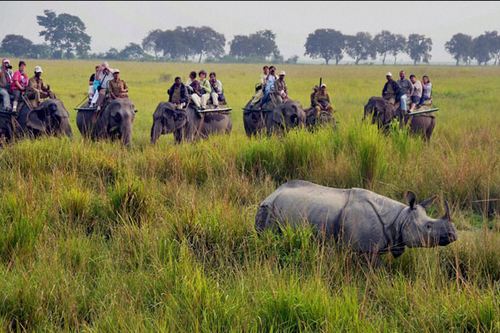 Kaziranga Park is divided into five ranges- Central Kohora Point, Western Bagori Point, Eastern, Burha Pahar, Eastern Agratoli Point and Northern Point. 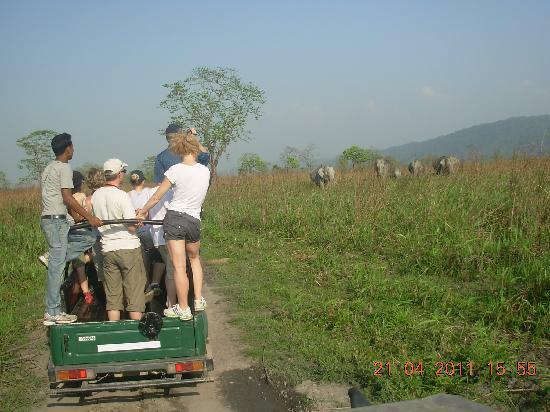 Tourists who take a Jeep Safari can cover a large distance to explore the major places of attractions within the Kaziranga Park. Spread over 858 sq km,the vast expanse of its area covers stretches of Savanna grasslands, chars of river islands, wetlands and deep forests.This conservation park lie within Nagaon district and covers Bagori Forest Range a small part of Ghorakati Forest Range. An exploration of Kaziranga on an elephant back can be a memorable way to see the herbivores like Swamp Deer, Asiatic Water Buffaloes grazing and rhinos strolling amidst the lush vegetation of the Park. 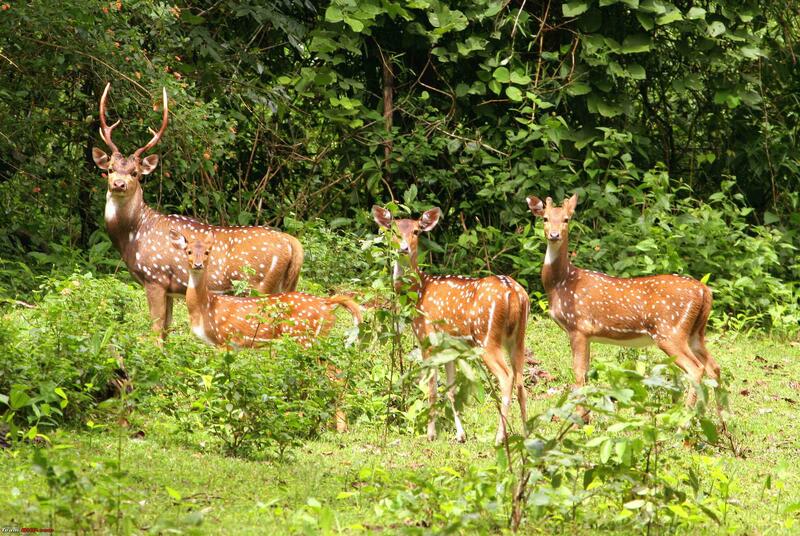 Professional Mahouts steer the majestic animal around the dense jungle mush to the enthusiasm of the travellers. Kaziranga is a paradise for bird lovers. Bird watching trips can be organised so that travellers can watch the great variety of migratory and endangered birds and forest birds that have made Kaziranga their home. The Kaziranga Park has a number of scenic spots that fascinates the tourists who visit this park to escape the monotonous routine of daily life. Take photos beside the cascading waterfalls of Kakochang which is hidden within the green forest. A visit to the verdant tea gardens of Difhalu, Borchapori and Behora offer a distraction from the usual wildlife sightingactivity of Kaziranga. Try the famous Assam Black Tea at the tea factories located within the Park. Drive out to see the ruins of ancient temples of Deoparbat or take photos beside the Kakochang waterfall to make your travel diaries of Kaziranga memorable. Bicycle rides are available for tourists who like to explore the Park in a leisurely way. Travellers can take a tour of the rustic villages to get a feel of the ethnic lifestyles of the tribes living here. Wildlife Tour packages are available for tourists who would like to avail of the best rates and enjoy a wildlife safari and a cultural tour of the tribal villages located within the national park. It is important to maintain park etiquettes for travellers so that the sanctity and peace of the inhabitants of the Park are maintained. Thanks for sharing with us this useful information!. Nice post Shubhi :) I will visit this park in future....!!!! Good to here about this @akshay.. North east is always the best part of India, I have ever visited. Full of greenery, nature is just mind blowing, rain, parks everything is awesome there. I am sure you would love to visit. Informative Post! Thanks for sharing this wonderful information with us.